Hope can be found in the most unlikely of places, and Haiti is proof of what it can look like! Haiti’s 500 year history revolves around epic stories of tragedy and hope, full of heroes, villains, triumphs, and loss. As the poorest country in the Western Hemisphere, with 80% of its population living in abject poverty, it’s no secret that life has been difficult for Haiti. Political unrest, mudslides, flooding, tropical storms, and on top of all that, the 2010 earthquake, have continually made life challenging and painful for many Haitians. During your time with us in Haiti, you will be learning about how poverty affects a nation at every level and how you can be a part of the solution. As a team, we will be working alongside of a local Haitian organization, supporting them in their vision to help their community shape a better future for themselves and their children. You will come to Haiti ready to help out, but you will leave here knowing a new reality in the world: one that will inspire you to continue to change the world for people you will now count as friends. You are going to fall in love with Calvaire! Located on the edge of Cap Haitien, this small mountain side community of 1,000 people seems to face endless challenges. The average income per family is $2 – $3 dollars per day, and life is never easy – yet they continue to push forward, one day at a time. We believe one of the keys to breaking the devastating cycle of poverty is education, and this is especially important in helping a nation where the majority of it’s population is illiterate (almost 50%). 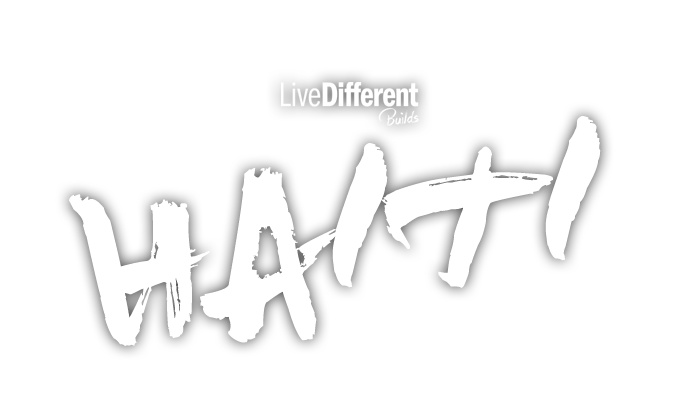 Live Different is honoured to be able to work in partnership with a registered Haitian organization who have a great deal of love and vision for their community, and together with our Live Different volunteers, we are starting to see how different the future can look for Calvaire. Many of Calvaire’s children have never had the opportunity to receive an education – partly because of the transportation costs to get to the other schools, and partly due to the cost of uniforms and books. Building this school has been a massive challenge, due to its location, yet we know that it is greatly needed and will be used for years to come for the children and adults in Calvaire. Our goal is to support this Haitian community in the healthiest and most sustainable way possible, and that starts with helping them to get educated. This is a sample itinerary for Haiti, your trip itinerary may be slightly different than this. Settle into Hotel, meet Live Different team, awareness tour (Visit the school, tour the town of Cap Haitian, learn about the way of life in Haiti and the complex cycle of poverty the locals have to navigate daily. 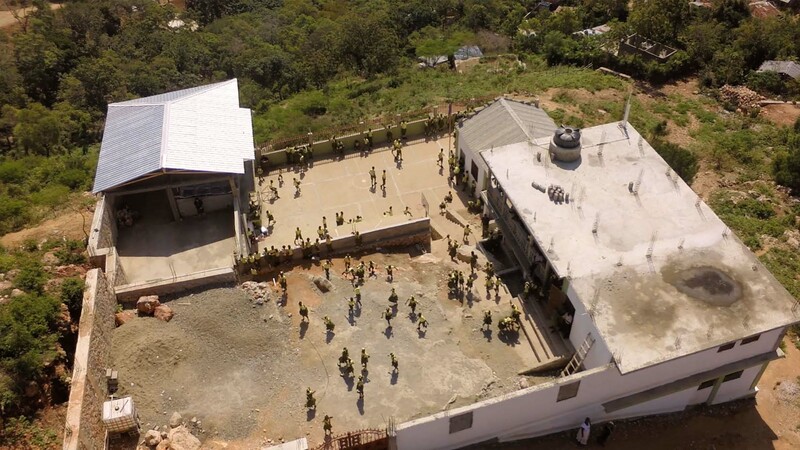 Project/Work Days: Help contribute to the ongoing construction of the school. Depending on what project is being worked on when your group is there (classroom, retaining wall, water project, kitchen, play area, etc. ), everyone will come along side the local workers to provide significant help. Because of the amount of manual labour needed, all help is incredibly valuable! ‘Day In The Life’ experience: Each person will have the opportunity to spend some time in the home of a family in the community. As you get to know each other, you will learn how to make a traditional Haitian meal and help with household chores. Labadee: Spend a day seeing the beauty Haiti has to offer. See how worlds collide as you visit Labadee beach, home to a Royal Caribbean cruise destination. Project Days and ‘Day In The Life’ experience continue. Visit to Haiti’s historical Citadelle in the morning and learn about the rich history and struggles of the Haitian people. Preparation for what is next – Live Different would like to help you to prepare to return home and integrate this experience and the lessons learned into your life back in Canada. We hope to help you take your experience in Haiti and help others understand how we can make a difference in our global community. Fly home to Canada from Cap Haitien, Haiti. 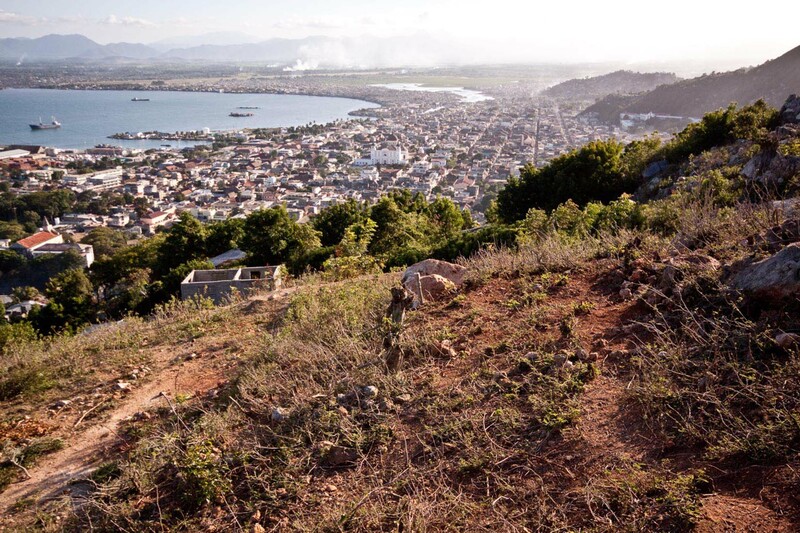 We will be staying in Cap Haitien which is a city of about 190,000 people on the north coast of Haiti. The hotel we will be staying at is called Royal Residence which is approximately 15 minutes up a mountain that overlooks the city of Cap Haitien. It is within walking distance from the school where our building projects take place and close to the nearby community, Calvaire. It’s a small hotel with rooms that can sleep up to 4 people. At Royal Residence, there is 24 hour security on guard to ensure our safety. This hotel has one pool, dining area, and a hangout area for guests. Since 2005, the climate of safety in Haiti continues to stabilize. Canada is playing a big part in this with our RCMP and the UN working together to train the Haitian police and military in proper procedure and effective governing of it’s citizens. In saying this though, we do still recognize that there are areas of uncertainty and as an organization we consider the following precautions. All volunteers, including staff, will be at our accommodations before dark, the group will always be in numbers no smaller than three and this number will include an experienced staff member, and we will be working with a proven and trusted Haitian Logistic’s Specialist, Frantzo Begin. This will be the sixth year that Frantzo has worked with us in the Dominican Republic and Haiti. He is extremely reliable, very organized and well connected. He is fluent in Creole, English, French, and Spanish. Frantzo also runs a NGO that works to educate children and provide relief for families in need and and we’re glad to have him as apart of our Live Different team. All of our staff are very passionate about what we do and we believe that we all have a responsibility to help those in need and to stand up for those who cannot stand up for themselves. Live Different maintains excellent community relations and works diligently alongside of community leaders, other NGO’s working in the area, and often government officials in each country that we work in. Safety is always our number one priority. All of our key staff are first aid certified and we always have access available to quality medical attention (if needed) in all countries that we work in. Before a Live Different Build begins, all parents are given contact numbers and emails for Live Different staff. We are available at any time for parental concerns or emergencies. 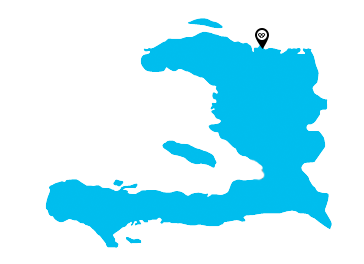 Questions about our work in Haiti?